Approximate size 10 in. L.
This funny straw provides an entertaining way to drink your Valentines Day beverages. 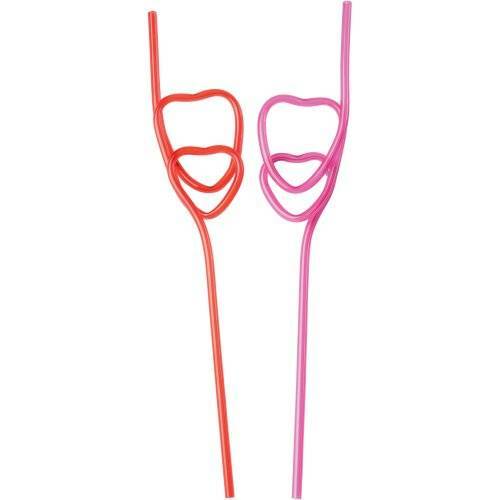 Add this double heart Krazy Straw to a Valentines goody bag or your party drinks for added fun. Krazy Straws have been a phenomenon for over 50 years. Adults and children alike will go crazy for these Krazy Straws.